Would you like to cook like a Gourmet Chef without using alcohol as an ingredient? Why would you want to? 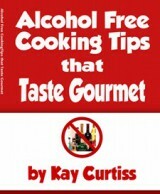 The alcohol cooks out and just leaves the flavor behind! Beer or Ale – A strong chicken, beef or mushroom broth, or non-alcoholic beer. Beer or Ale (Light) – Chicken broth, white grape juice or ginger ale. 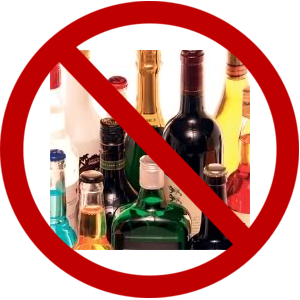 Red Wine, sweet or dry – non-alcoholic wine with a tablespoon of vinegar added to cut the sweetness, grape juice, cranberry juice, grape jelly, tomato juice, beef broth, liquid drained from vegetables, or water. Use equal amounts of liquid as called for in the recipe. Rum – White grape juice, pineapple juice, or apple juice in equal liquid amounts as called for in the recipe. Can also use these juices with 1/2 to 1 teaspoon of rum, almond or vanilla extract added. Sherry – Apple juice, orange juice, pineapple juice, or non-alcoholic vanilla extract. White Burgundy – non-alcoholic wine, white grape juice combined with white wine vinegar. White Wine, sweet or dry – non-alcoholic wine with a tablespoon of vinegar added to cut the sweetness, white grape juice, apple juice, apple cider, tomato juice, chicken broth, liquid drained from vegetables, ginger ale, or water. Use equal amounts of liquid as called for in the recipe. Download your FREE e-Paper today! This entry was posted in Cooking Tips and tagged alcohol free cooking, alcohol substitutions on August 6, 2014 by Kay Curtiss. Jennie I have had the problem a little with the Chef’s Choice. I bang it on the counter – but that is a good suggestion, I will pass on. Thrive is aware that the printing on the labels is hard to read and is making some adjustments. They print the labels in big runs, so they use those up then we’ll see the new ones.